Mom Hair. Why Women Cut Their Hair and Why I Didn’t Cut Mine. 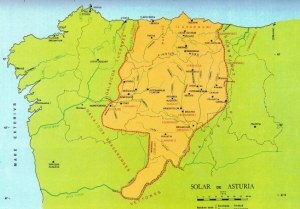 The people that inhabited Asturies from the Navia in the west (limiting with the Galaicos) to the Sella to east (limiting with the Catabrians) and that extended south to the Douro. We were subjugated by the Romans during nomad Cantabrian-Asturian wars spread out between the years 29-19 A.D. The historians that that studied these wars were the ones who produced reputable written sources about them. There are several of them, like contemporary geographers such as Strabo or later ones like Pomponius Mela or the naturalist Pliny the Elder, who was a governor in the area. Another fundamental source of information were the epigraphies (several dozen inscriptions) and other written documents (especially bronze tablets), and in recent years archaelogy, which tries to provide a basic flow of information.